March 13, 2014, Hong Kong – This year, the world renowned Swiss Haute Horology brand Audemars Piguet will be collaborating with The Hong Kong Jockey Club for the 16th Audemars Piguet Queen Elizabeth II (QEII) Cup in Hong Kong. In a race that attracts participants from all over the world, up to a HK$14 million winning purse will be offered. 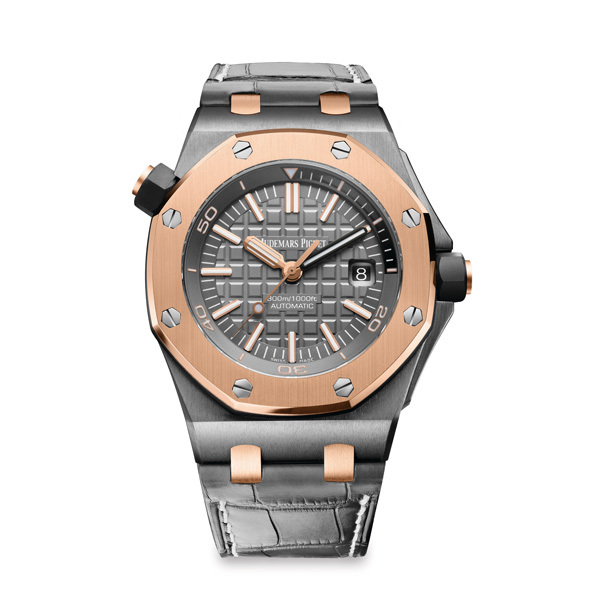 To commemorate the 16th anniversary of the Audemars Piguet QEII Cup annual international race in Hong Kong, the brand will be launching a 150-piece Royal Oak Offshore limited edition timepiece. A masterpiece incorporating impeccable craftsmanship and contemporary design, it is the perfect timepiece to mark an important event on the social horse racing calendar, appealing to the sophisticated watch connoisseurs and enthusiasts alike. 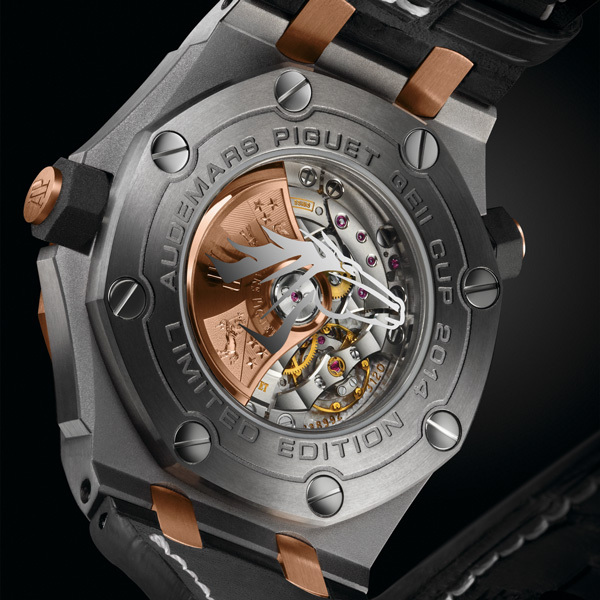 Audemars Piguet was founded in 1875 in Le Brassus. Immersed with passion, excellence and innovativeness, the brand has focused on developing high-end timepieces and movements. 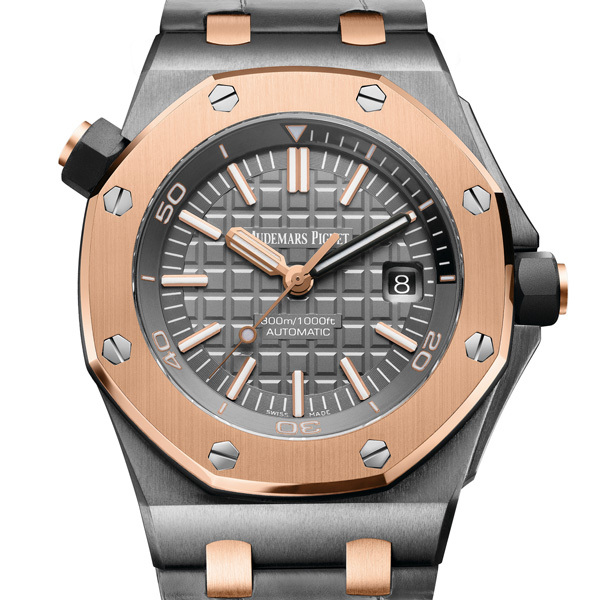 The Audemars Piguet QEII Cup 2014 Royal Oak Offshore Diver limited edition takes this spirit of innovation to an extreme by presenting the perfect proportion, exquisite craftsmanship and high-technology materials. 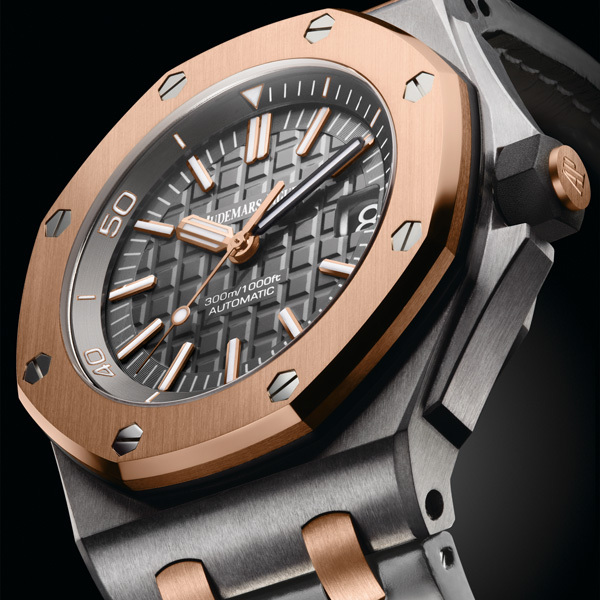 The octagonal bezel and the “Méga Tapisserie” pattern on the dial are all in line with the Royal Oak Offshore signature characteristics and athletic roots. The highly anticipated 2014 Audemars Piguet QEII Cup will take place on April 27 at the Sha Tin Racecourse. The Selection Announcement will be held on April 9 to reveal the 14 contending horses that will be participating in this international race while on April 24, the Barrier Draw will determine the barrier number of each of the competing horses. On the following day, Audemars Piguet will be hosting the annual Gala Party with the Hong Kong Jockey Club, where the local celebrities, socialites, and representatives from the equestrian circle will gather to celebrate this highly anticipated annual event. The QEII Cup race was established in 1975 to commemorate the visit of the Queen Elizabeth II and the Duke of Edinburgh, Prince Philip to Hong Kong. The race is traditionally run in the spring season and has become one of the most important social events in Hong Kong since then. Over the years, the QEII Cup has evolved into an internationally recognised race, with participants from both local and overseas. Audemars Piguet became the title sponsor of the QEII Cup since 1999, which is now an International Group 1 race and stands prominent in the racing firmament, currently offering a purse of HK$14 million.